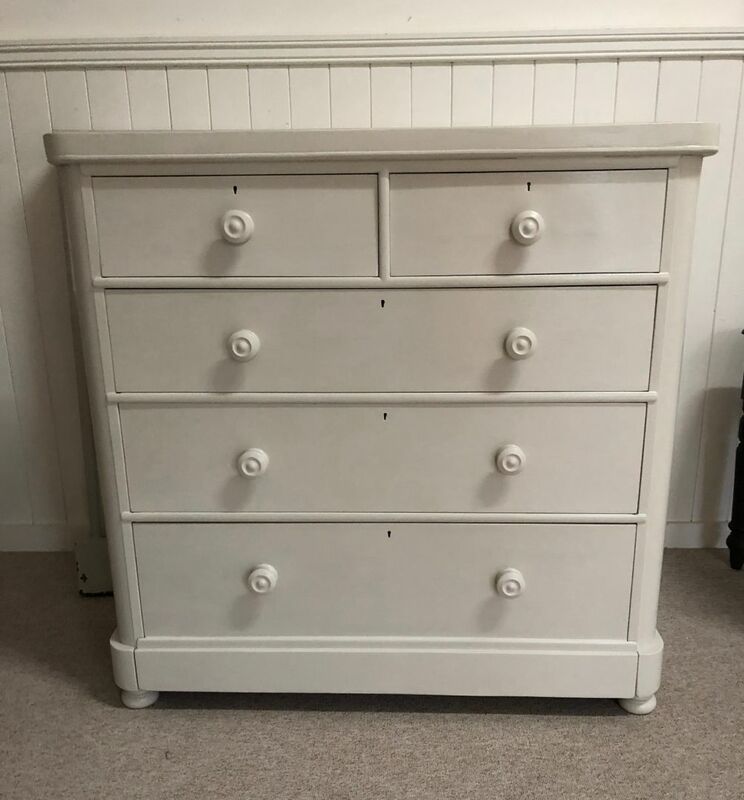 Another superb example of a classical Victorian Chest of Drawers. Beautiful proportions and beautifully restored and hand painted by our own craftsmen. Can you spot the oddity??? 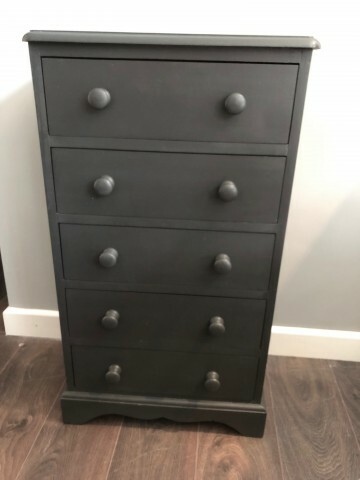 It took me ages to see it .............. look at the top two drawers - I think the apprentice who made this got into serious trouble and probably had his wages docked. I love it even more for this very reason.